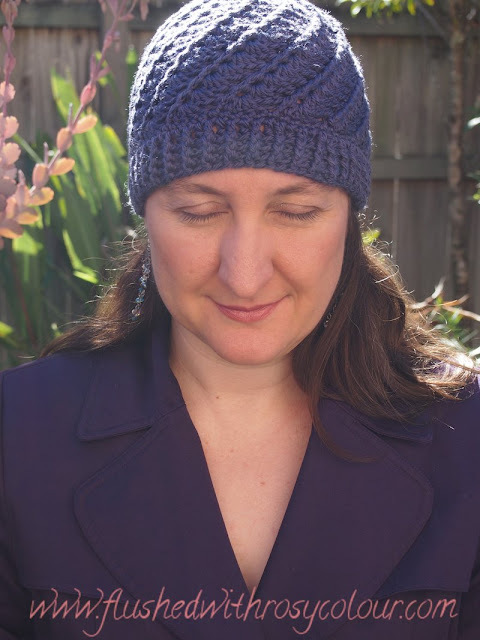 This is the 3rd divine hat I've made following the free pattern at Rheatheylia. The dark green divine hat I made like this was quite large, I used the recommended 6mm and 5mm hooks. But for this dark purple beanie I wanted one that would fit me better than it fit my husband, so I used a 5mm hook for the main part and a 4.5mm hook for the brim. I also added an extra 3 rounds of 4 dc shells because the smaller hook made it too short. are you flushed with rosy colour? 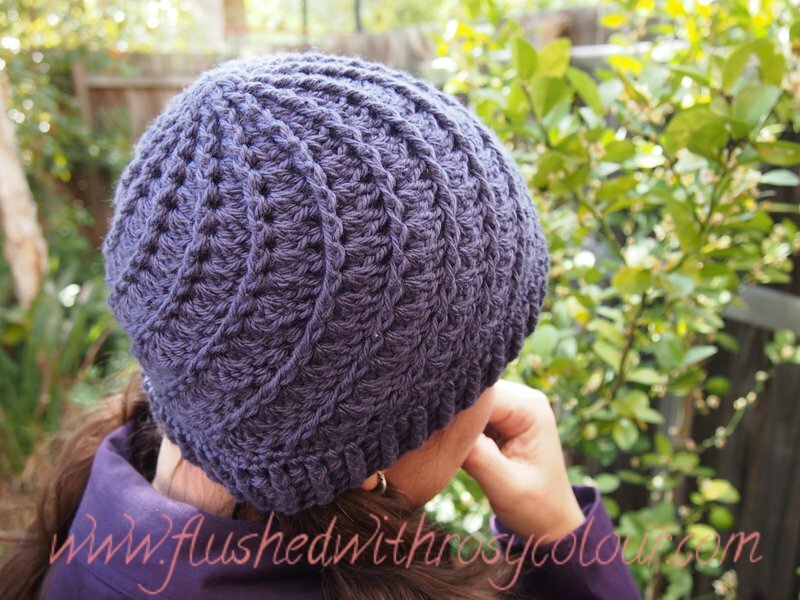 I know a couple of people that might like this hat, purple is a popular favourite colour! But if no one wants it I can always use it myself, it matches my purple trench coat perfectly!